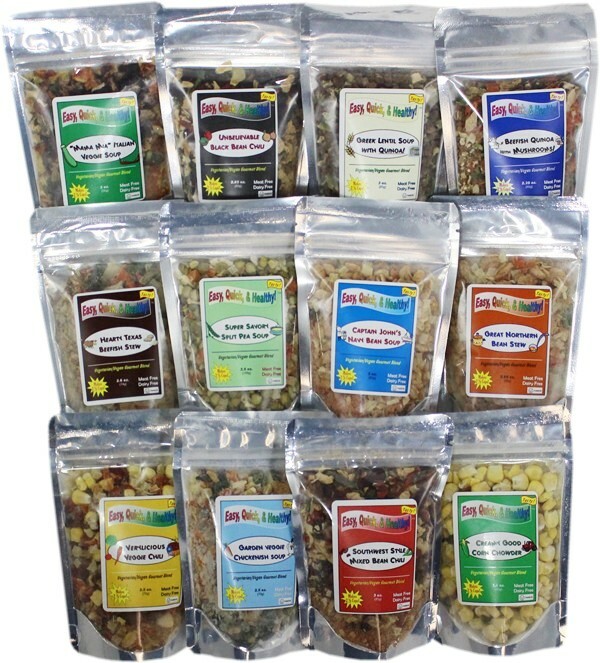 NEW PERSONAL SIZE GOURMET BLENDS! Stove Top: Add mix and 2 cups water to pot. Bring to a boil. Reduce heat and simmer for 10 minutes, stirring frequently. Cover, remove from heat, and let stand an additional 5 minutes. Stir gently and serve. Our Gourmet Soup and Chili mixes are an essential part of trail cooking. The Blend can be soaked prior to cooking to reduce the need for fuel. This can be done at mealtime or early in the day to save time during meal preparation. Just open the zip pouch, pour about 1/2 cup water in the pouch, and reseal. When you reach your campsite, simply pour the contents of the pouch into your pot, add the remaining water, and heat to serve. Gourmet Soup and Chili Blends Sampler - WOW! I purchased this sampler trying to find something that was nutritionally sound, tasted good and was substantial when eating. I wanted to have something that the family would not tire of eating in an emergency. I opted to try this and see what this food was all about. What a wonderful surprise. I have tried one pack each day and have not been disappointed yet. Both the chili and the soup mixes have flavors that taste like a gourmet chef came up with the ingredients. No kidding. 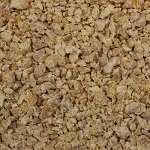 Wonderful taste, wholesome food. When this box is finished, I will pick the favorites and purchase larger quantities. Great product.